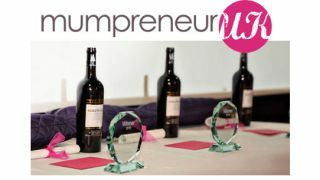 Business owners who have started a firm in the last six months whilst looking after their family full-time have been called on to enter the Mumpreneur Awards 2012. Organised by business support network Mumpreneur UK, award categories include: Start Up, Online Business, Green Business, Supporting Business, International Trader, Mumpreneur Product and the Inspirational Business Mum award. The Dadpreneur award is open to dads who juggle running a business with looking after a family. Applicants must complete a 600-word online form outlining the challenges they have overcome, their plans for growth and how they've managed their work-life balance. "We encourage all mums in business to enter the awards, as everyone can benefit from local press through simply a nomination," said a Mumpreneur UK spokesperson. Last year's Inspirational Business Mum was Kate Wilson of children's book publisher Nosy Crow. After losing her job in publishing Kate set out on a journey that she and her family knew would be long and hard. Since launching Nosy Crow, Kate has secured multiple authors, has publications translated into ten different languages and is launching multiple apps. The deadline for entries to the awards is 27 July.